This year marks the 60th anniversary of the U.S. Coast Guard’s greatest rescue, in which four men received the Gold Life Saving Medal for heroism. It’s a good opportunity to review the men’s actions and ponder the question if we use the term hero too liberally today. Bernard C. Webber saved 32 lives off the coast of Chatham, Massachusetts in 1952. Bernie and his crew of three took a 36-foot wooden lifeboat into the teeth of a vicious Nor’easter off the coast of Chatham to rescue 33 men on a sinking oil tanker that had split in half. This was in 1952, when the Coast Guard still operated by the unofficial motto of “You have to go out, but you don’t necessarily have to come back.” No one at Coast Guard Station Chatham expected Bernie Webber to come back from his mission on a night where the seas were a towering 60 feet. Bernie not only came back, but he was able to rescue 32 of the 33 seamen from the tanker, just minutes before it rolled to its side and sank. Imagine his small vessel crammed with 32 survivors battling seas twice the size of the boat as they groped their way back toward land! 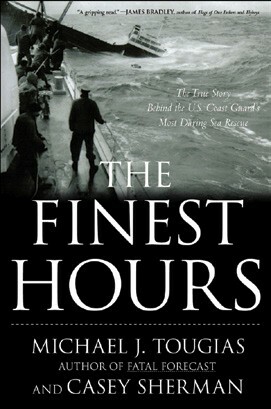 The Disney Corporation’s movie version of The Finest Hours will be released in October. Was Bernie a hero? He certainly didn’t think so, having told me, “I was just doing my job. The real heroes were my three-man crew.” What Bernie meant by that statement was that his crew volunteered to go with him when they could have kept quiet and hoped others stepped forward or were chosen. Bernie’s observation gets at the heart of the meaning of a hero. I’ve always felt a pure hero is someone who has the option not to undertake a mission of self-sacrifice but does so anyway. These pure heroes are often bystanders who witness a disaster and step forward to save a life when most others are either running to escape the danger or frozen in fear. Pure heroes are not limited to those who are involved with rescuing others during an accident or disaster, where physical daring is the paramount attribute for success. They can also include the person who sacrifices their energy and time on a daily basis to help someone less fortunate. This “quiet hero” is never paid, is never under any obligation, and is never looking for personal gain. They simply give of themselves because it’s the right thing to. I’ve been blessed to know one of these types. For 31 years my father has cared for my sister who was paralyzed and brain damaged by a drunk driver. Watching him do his work – and do it with a smile – is to watch a hero in action on a daily basis. And there are many more care-givers like him, going about their particular mission with little fanfare. And there are heroes who by virtue of the goal they are trying to accomplish, cannot be quiet, but instead must be as vocal as possible. These individuals speak out for justice – often at great risk to themselves – so that others may have a better life. Martin Luther King certainly fits that profile. Defining what actions are heroic is difficult indeed. Is every rescue made by firefighters, police officers, and the Coast Guard heroic? Are not these individuals paid to perform the work they do? Maybe “brave” is a more appropriate term than “hero.” We tend to automatically label an act of courage as heroic, but the words are not interchangeable. It’s far easier to know what is not heroic. We cheapen the word hero by anointing athletes as heroes. They may be accomplished, or even amazing, but not heroes. Next time an athlete makes the winning shot, gets the walk-off home run, or scores the touchdown with no time left on the clock, let’s just say they maximized their opportunity. Getting back to my earlier question of whether or not Bernie Webber was a hero, one should know that while it was his job to go out into the storm, he could have cut his mission short. He would not have been faulted if he turned back after one particularly large wave knocked out his compass (his sole means of navigation), smashed the boat’s window, and temporarily snuffed out the vessel’s power. But he and his crew continued on, even though they now knew the odds of coming back alive were stacked against them. That’s heroic. 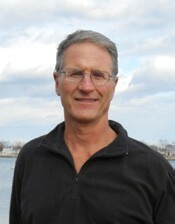 Michael Tougias is a lecturer and award-winning author of 18 books including Fatal Forecast, Overboard and Rescue of the Bounty, and co-author of a book about Bernie Webber, The Finest Hours: The True Story Behind the U.S. Coast Guard’s Most Daring Sea Rescue. His lectures are highly recommended, and you’ll find his speaking schedule at michaeltougias.wordpress.com.